A hint of chill mixed with fallen leaves floating through the air (and maybe hitting me in the face as I walked to class) this morning gave me all the fall feels that have been missing in Manhattan lately. For weeks now I've seen everyone enjoying all things fall: leaves, pumpkins and sweaters, and it seems like Manhattan is finally starting to catch up! To go along with welcoming fall I thought I'd share with y'all this flannel dress from Scoobie that perfectly encapsulates this season! 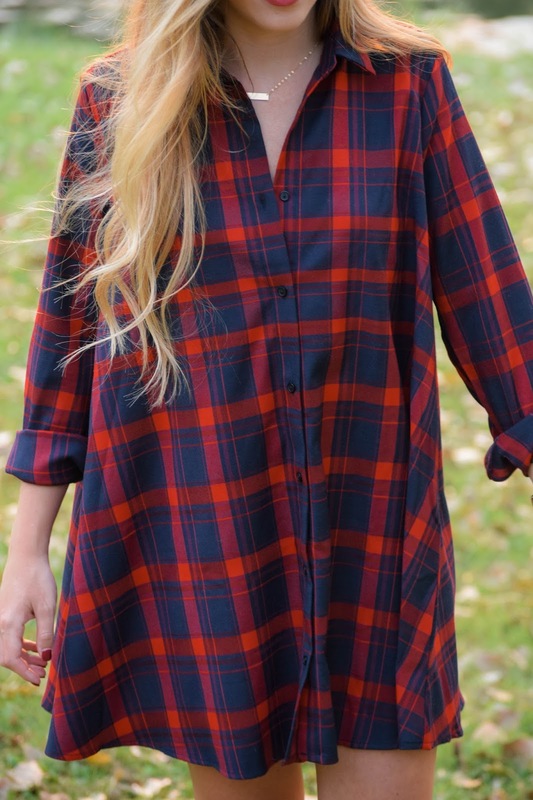 Fall and flannels are a classic pair, and when I came across this feminine take I couldn't pass it up. 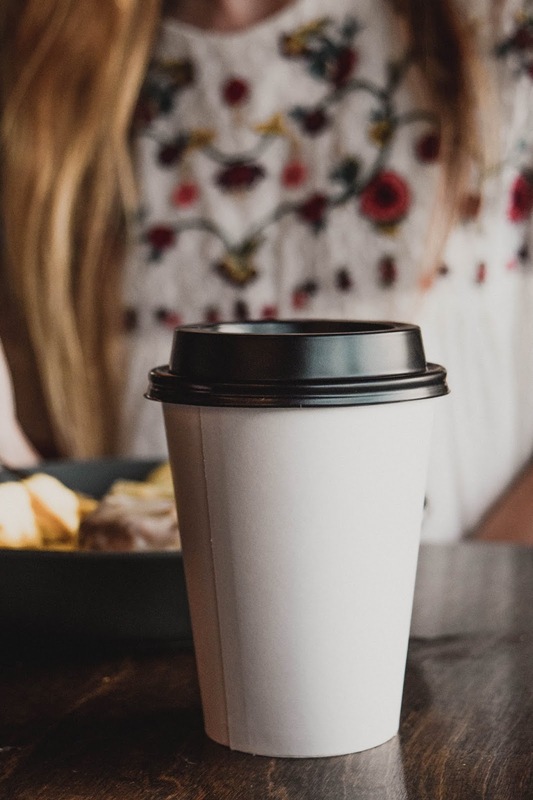 Paired with riding boots, it would be perfect for a day trip to the pumpkin patch, or it can easily be dressed up with heeled sandals or booties and gold hoop earrings for a fall date night or dinner with friends. 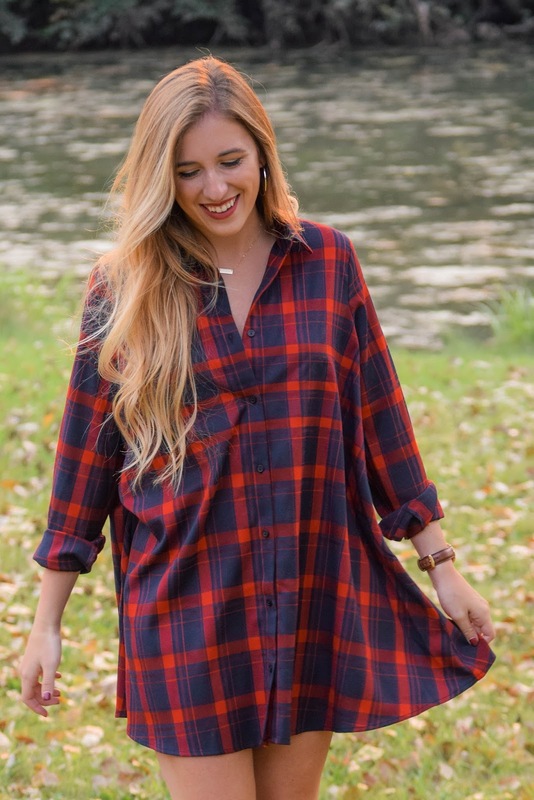 During fall I always want my outfits to be comfy and cozy, and with this plaid, flannel dress I was even able to do away with constricting jeans allowing for maximum comfort! Also, I may be thinking a little too far ahead here, but with the oversized fit wouldn't this dress be perfect for Thanksgiving too?! I'm always on the lookout for cute outfits that will hide the inevitable food baby haha! How was everyone's weekend? On Saturday I ended up going to the K-State football game. It was a tough game to watch towards the end, but the weather was unbeatable! Overcast skies and not too cold, I loved it! Although, what I'm not looking forward to is how cold it's supposed to get later this week... I'm enjoying the fall chill now, but the minute it drops below 50 degrees I'm no longer a happy camper! Super awesome dress! You capture the fall vibes very well!